VANCOUVER, CA / ACCESSWIRE / November 15, 2018 / Nexus Gold Corp. (''Nexus'' or the ''Company'') (TSX-V: NXS; OTCQB: NXXGF; FSE: N6E) is pleased to announce that it has entered into a mineral property acquisition agreement, dated effective November 15, 2018, with Warren Robb (the ''Vendor''), pursuant to which it will acquire the New Pilot Project (the ''Project''). In consideration for the Project, the Company will issue 3,500,000 common shares (the ''Consideration Shares''). 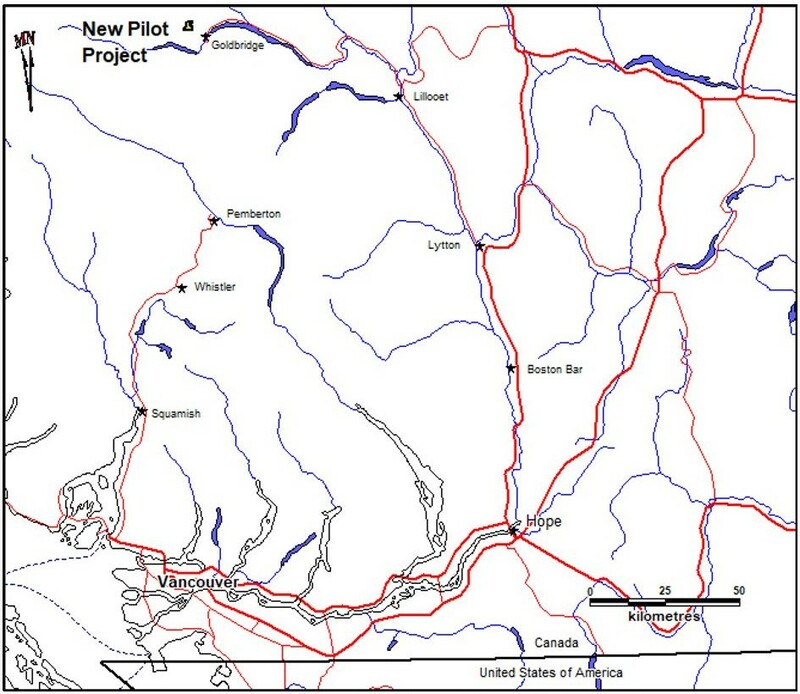 The Project is a gold-copper exploration property located in the Bridge River Mining Camp, approximately 180 kilometers north of Vancouver, or 10.5 kilometres west of the village of Gold Bridge, British Columbia. The 509-hectare (1,257 acre) property is accessible by paved road and has been the subject of historical exploration. Between 1992 to 1994 Cogema Canada Ltd conducted detailed prospecting and sampling. 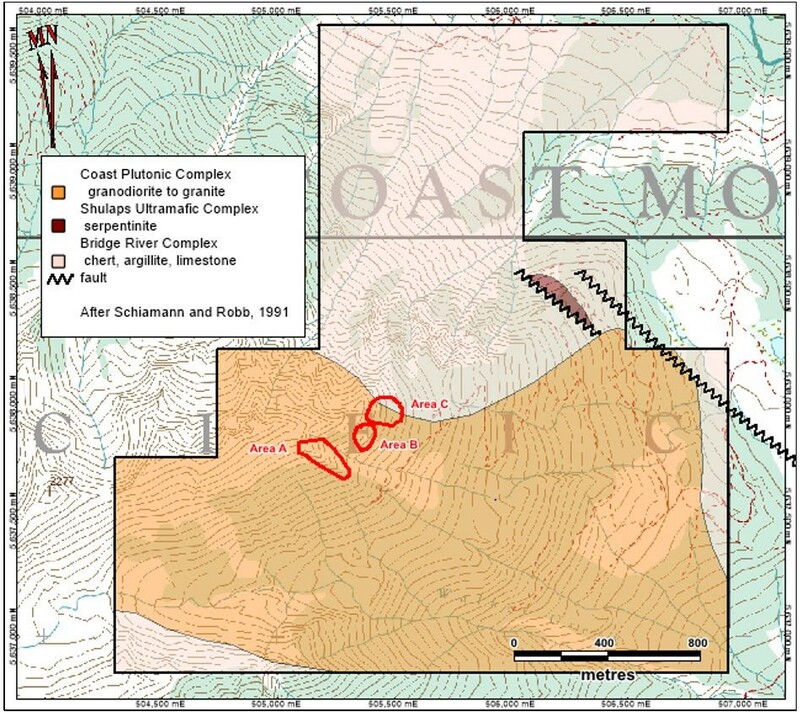 99 grab samples were taken in three areas (A, B, C in Figure 2), with three returning values in excess of 100 grams-per-tonne (''g/t'') gold (''Au''), including 102 g/t Au, 106 g/t Au with visible gold, and 111 g/t Au; three returning values in excess of 10 g/t Au (17 g/t Au, 21 g/t Au, 33 g/t Au); and 14 others returning values in excess of 1 g/t Au. In addition, 59 soil samples, 229 rock samples, and 66 core samples from a small 108-meter diamond drill program were also obtained. Significant results obtained included chip samples of 4.03 g/t Au over 10 meters, and 1 g/t Au over 10.5 meters in drill core. The rock sampling identified three areas of elevated bedrock gold values within intrusive rocks: Area A, averaging 228 ppb, Area B, averaging 378 ppb and Area C, averaging 752 ppb. Highlights from the 108 five-metre chip samples included: 1470 ppb and 1092 ppb in Area A, 3702 ppb in Area B, and 6425 ppb and 1896 ppb in Area C. The higher values are associated with rusty fracture coatings containing sulfides. Three styles of mineralization have been identified on the Project: siliceous fractures containing sulphides, carbonate altered shears, and quartz veins containing arsenopyrite. The Project location is situated at the contact of the Coast Crystalline Complex and the Bridge River sediments. Over the past 80 years several exploration programs have been conducted over or near the property, initially concentrating on the Pilot Mine and its strike extension. The Project is relatively close to the producing Bralorne Pioneer Mine, lying 18 kilometres to the south east. The Bralorne gold camp represents one of Canada's most prolific mining operations. From 1928 to 1971, the Bralorne and nearby Pioneer and King mines produced 4.15 million ounces of gold from 7.9 million tons of ore*. The Bridge River Mining Camp is the largest past producer of gold in British Columbia**. In 2017, Blackstone Minerals Ltd, an Australian-based company, acquired the Little Gem Project, a high-grade cobalt and gold project, located approximately 900 meters from the New Pilot location. The Vendor is a director, and senior officer, of the Company, and is considered a ''Non-Arm's Length Party'' in accordance with the policies of the TSX Venture Exchange (the ''Exchange''). As a result, the acquisition of the Project is subject to Exchange Policy 5.9 and Multilateral Instrument 61-101 – Protection of Minority Security Holders in Special Transactions (''MI 61-101''). In completing the acquisition, the Company intends to rely upon Section 5.5(a) of MI 61-101 for an exemption from the formal valuation requirement of MI 61-101, and Section 5.7(1)(a) of MI 61-101 for an exemption from the minority shareholder approval requirement of MI 61-101, as the fair market value of the acquisition does not exceed 25% of the Company's market capitalization. Notwithstanding the availability of exemptions from the formal valuation and minority shareholder approval requirements of MI 61-101, the Exchange may require that the Company satisfy these requirements prior to completion of the acquisition. Completion of the acquisition of the Project remains subject to approval of the Exchange, and the satisfaction of any conditions imposed by the Exchange. The acquisition cannot be completed until such approval is obtained, and there can be no guarantee that such approval will be obtained in a timely manner. No finders' fees or commissions are payable in connection with completion of the acquisition. All Consideration Shares issued in connection with the acquisition will be subject to a four-month-and-one-day statutory hold period. Nexus Gold is a Vancouver-based gold exploration and development company operating primarily in West Africa. The company is currently concentrating its efforts on establishing a compliant resource at one or more of it's four current projects: Bouboulou, Rakounga, Niangouela and Dakouli 2, all located in Burkina Faso. Fore more information please visit www.nexusgoldcorp.com.